Wael Ali is the President and CEO of Spin Systems, Inc., where he leverages his business expertise, professional skills and extensive experience to provide executive oversight and strategic direction. 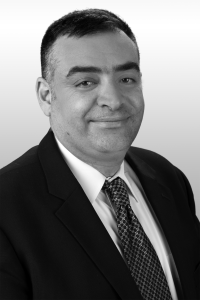 With over 25 years of experience in the IT industry, Wael has a unique ability to bridge business goals with technology enablers to produce value-based solutions. In addition to his role as President and CEO, Wael has direct leadership responsibilities for Spin Systems’ bio-medical and surveillance applications delivery for the Department of Defense. Wael’s technical expertise ranges from software development, system architecture and design, data modeling, database administration, system integration, project management, and technical team lead. 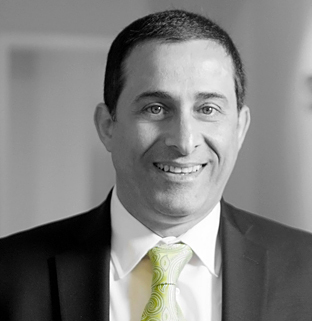 Prior to founding Spin Systems Inc., Wael worked as a consultant to Textron Financials, where he led a team of developers tasked with designing, building and maintaining complex financial and leasing systems. Wael also served as a senior developer at the AT&T Capital Corporation, an application developer at NYNEX, and a program analyst at both the Newark Group, Inc. and Citicorp, Inc.
Wael promotes innovative product development utilizing open source technologies to produce the best breed of cost effective solutions, and was recently a recipient of the 2013 Red Hat Innovation Award for Best Middleware Implementation. Wael holds a B.S. degree in Computer Systems Management from Schiller University in London, England. As the Chief Operating Officer, Shourya’s focus is on aligning and scaling technology and business operations with organizational strategy. He also oversees sales and business development, commercial cloud product development, financial, legal and regulatory affairs, human resources, marketing, security policy, and communications. Prior to founding SpinSys in 1998, Shourya was a senior product manager responsible for all aspects of leading a development team in developing an electronic mortgage lending solution for the primary and secondary mortgage markets. Before that, Shourya served as product development manager for Integic (now Northrup Grumman), where he was a core member of a development team responsible for architecting and building an invoice processing and imaging workflow systems for high volume Fortune 500 clients. Ray has two decades of software product and development experience, and holds a Bachelor’s degree in Computer Science from the University of Massachusetts, Amherst. As the Chief Technology Officer, Chakib manages all of SpinSys’ development teams by ensuring their full integration into the company’s organization, as well as directing software product strategy, software development and product deployment. A founding member and part of the executive team, Chakib is a key decision maker in the management, architecture and development of numerous client/server applications, as well as web-based applications, including medical data records management, trading, accounting and mortgage systems. Prior to his position as Vice President of SpinSys, Chakib served as a Senior Technical Lead and full time consultant to the company. Chakib also worked as a Senior Project Manager at Freddie Mac whose role was to provide technical support and system development to the trading floor. Other experiences that precede his involvement with SpinSys include consultant work for IBM and Intelligroup, serving as a Senior Program Analyst at Reuters America, Senior Software Developer at DataCode, and Senior Software Engineer at Satellite Transmission Systems and US Electronics. Chakib holds a Master’s degree in Business Administration from George Mason University, and a Master’s degree in Electrical Engineering and a Bachelor’s degree with a double major in Computer Science and Electrical Engineering from the State University of New York. 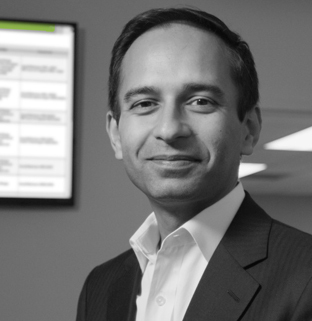 With over 20 years’ experience in enterprise software design and architecture and development, Chakib is also a subject matter expert in the development of financial, legal and medical software systems. As Vice President at SpinSys, Jamie Dahlum oversees all aspects of the Department of Navy (DON) programs, from program level to relationship management, to ensure successful delivery to our DON clients. Jamie manages several DON programs ranging from sustainment and operations to development and modernization. 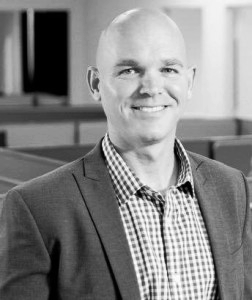 Prior to his position as Vice President, Navy, Jamie served as the Information Technology Director for SpinSys where he provided oversight and made critical decisions regarding key technological advancements within the company. In addition, his expertise in the area of cyber security proved to be key in his success as lead information assurance (IA) engineer on the Department of Defense (DOD) programs within the Spin Systems portfolio. Other experience preceding his involvement with SpinSys includes roles as program manager, project manager, and technical lead for mission critical programs within DOD. Jamie provides over 20 years of technical and managerial experience in information technology with a focus on DOD programs within the DON and Air Force. Subscribe to get SpinSys news and events delivered right to your inbox. SpinSys is the premier small business systems integrator for cloud based solutions, specializing in sustainment and modernization for the enterprise.